The Severn Bore is a truly unique natural wonder of the western world. It is a large surge wave that runs into the River Severn estuary, where the tidal range is the 2nd highest in the world. The estuary and natural topography of the river converge the water into the narrowing stretch as it moves inland and as the tide rises. The tide-wave is slowed by the river bed and constricting nature of the estuary. 12 hours of flood tide is compressed to just over an hour whereby the rising tide becomes unstable and a bore forms at the leading edge thus forming the large wave. Capturing the Severn Bore has been extremely challenging. I have used many a craft in order to capture the heart and soul of the great wave as it snakes inland on its epic journey. Car, boat and microlight have all been tools in my constant quest to capture the best of this natural phenomenon. What an adventure. 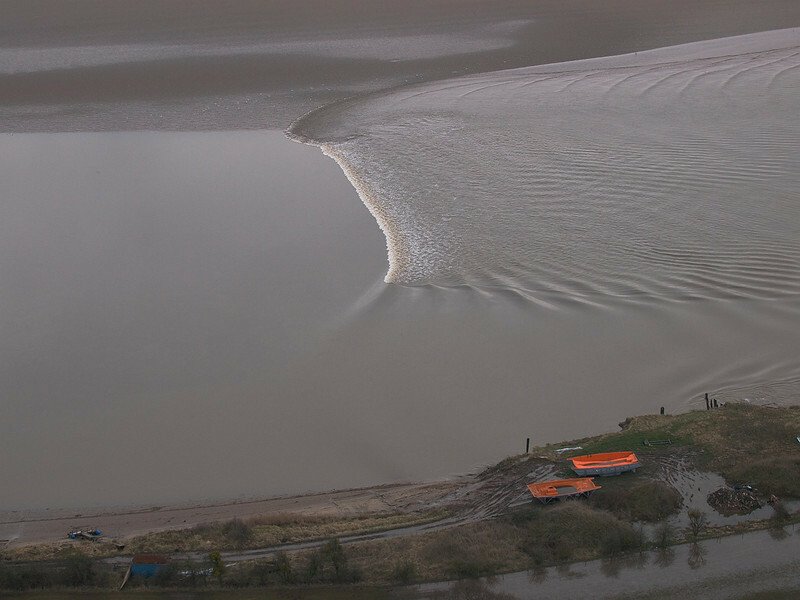 A photo shoot of the Severn Bore from a microlight. A real early start in the freezing cold. Reached the bore the lower part of river and conditions were fantastic (clear with no wind) albeit freezing. Something like -20 with wind chill up at 500ft! Got about 40 mins of real good footage and then the mist rolled in and we had to make an emergency landing in a field in Newnham. This gallery is a pick of the best. Real tough shooting conditions as my hands were frozen solid after 5 mins. All shot with the amazing Olympus E3 and 50-200mm SWD + 12-60mm SWD.